Located in the beautiful Bezuidenhout, near public transport and the shops on the Theresiastraat, You will have to see this house with a spacious backyard and garden house at the rear. This 2 bedroom apartment is stylish and fully furnished. 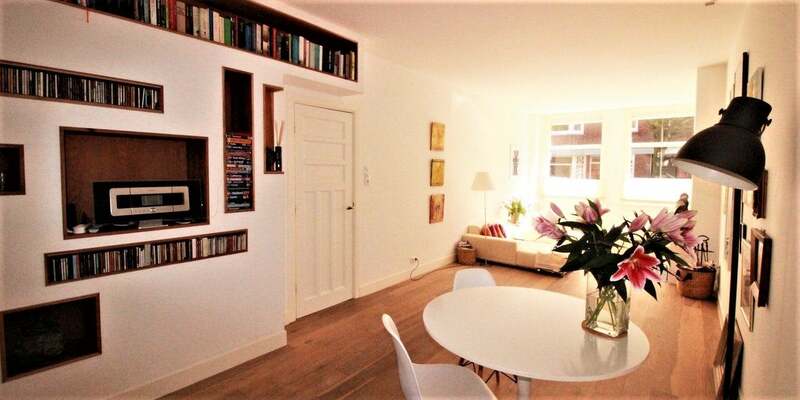 The open kitchen is modern and equipped with a bar with chairs stools The house measures approximately 90 m2.The apartment is suitable for a single or couple who is used to the Dutch customs. No pets allowed and preferably no children.